The TUV logo is a safety certification mark specially tailored for the parts of Germany, so this is a very strict certificate, which has been tested for each component. 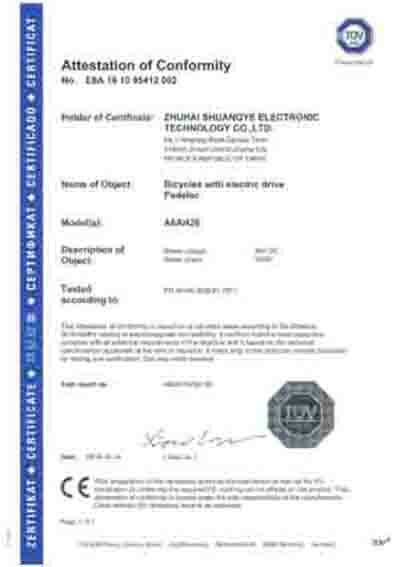 And our A6AH26 is through the TUV certification，buying the rest of mind, riding the peace of mind. 4、With the TUV logo, not only to guarantee the quality and safety factors of products, but also provide other authentication information, such as human engineering etc.. This increases the reliability of your product, but also makes it easier for buyers and consumers to make purchase decision. 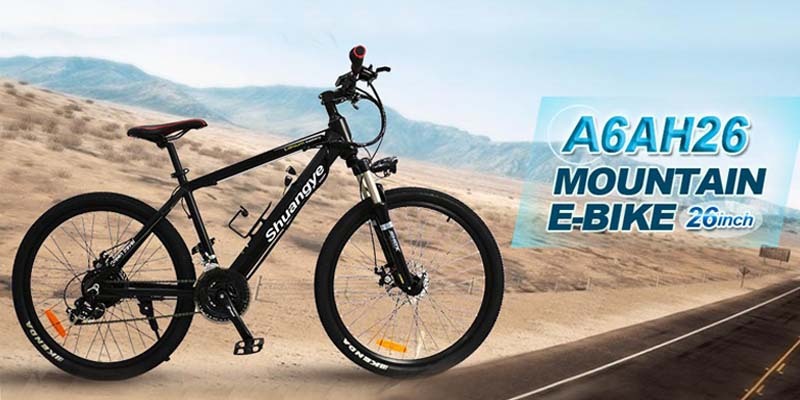 E-bikes open up more of the countryside to more people .Thanks to the helping hand of a motor. The extra power allows riders of all levels to enjoy the pleasure of a ride, with the ability to cut out some of the demands placed on them by gruelling ascents.The motor is also a great aid in the case of deep mud and snow, providing the boost needed to power right out of it. If you’re a cyclist or if you aspire to get into cycling, and if you live in the city, you know that riding a e-bikes in an urban environment is different from anything else. Finding the best bike for city riding can be daunting; there are many variables to consider, and you want that perfect blend of comfort, convenience, efficiency and fun.the newest A6AH26 e-bikes are designed for you, whether you’re the daily commuter set on beating the morning gridlock, or looking to cross the city at a leisurely pace or simply going down the town for your shopping.